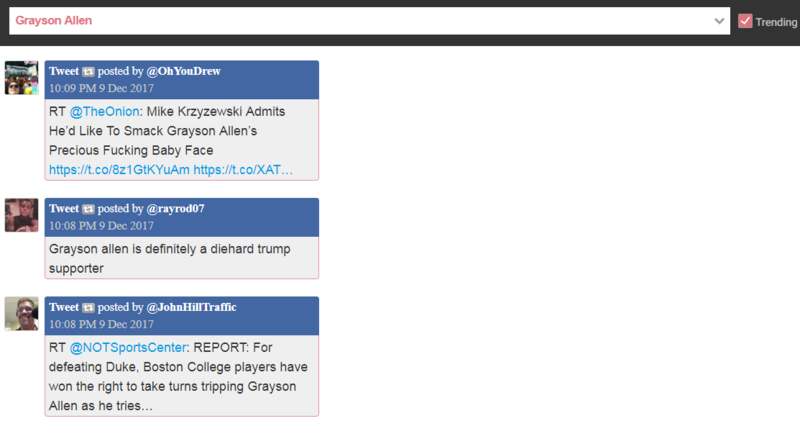 TekTwit is a Twitter feed page, built with Node and Vue.js. 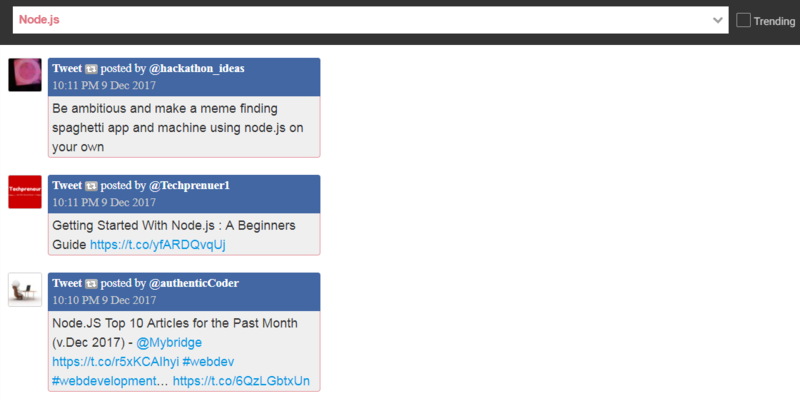 It has a list of specific searches, for example, a search on the latest stuff about Node.js, or a list of trending for the day. Vue is used for the front end, Node in the back end and it is mobile friendly. Built with Atom on 17.10 with Wayland. Clicking on any tweet or profile sends you to the corresponding page on Twitter. 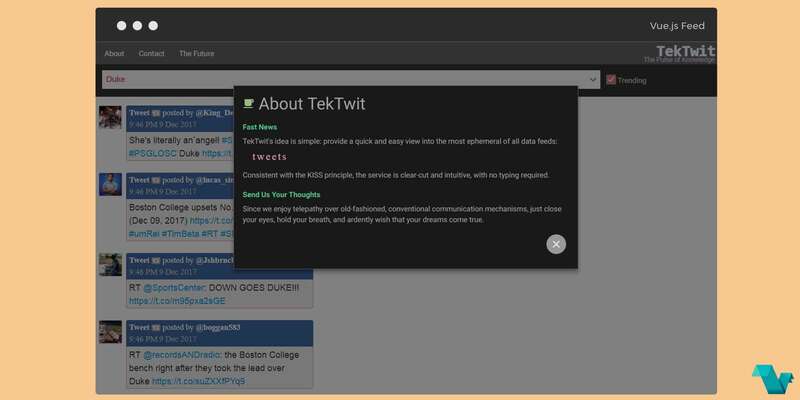 TekTwit's idea is simple: provide a quick and easy view into the most ephemeral of all data feeds: tweets Consistent with the KISS principle, the service is clear-cut and intuitive, with no typing required. We have utterly ridiculous and impossible features coming your way. Hold on!